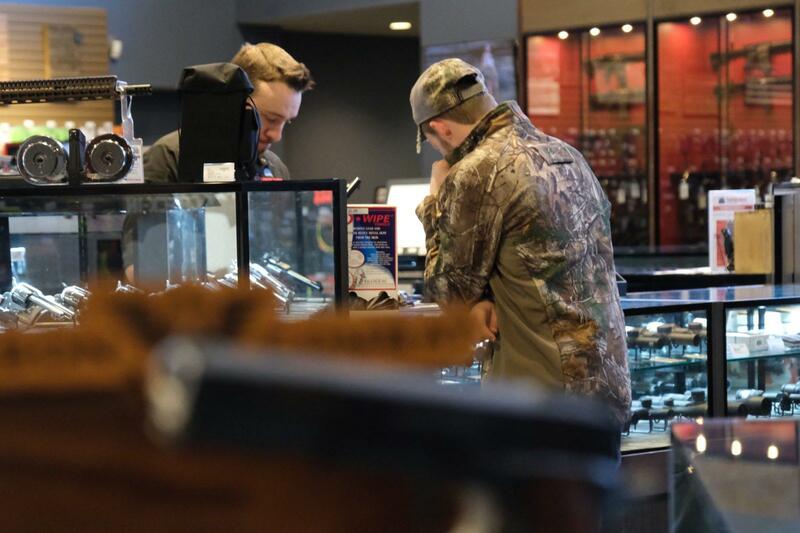 A customer shops at Frontier Justice, a gun store in Lee’s Summit, MO. The number of documented background checks are high in 2018, but that doesn’t necessarily mean gun sales are too. Gun sales have been trending down since the 2016 presidential election when the sales hit a record high. News outlets, including The Wall Street Journal, NPR and Bloomberg, have called this decline in gun sales the “Trump slump.” Research cited by these publications indicates people may not be buying guns now that President Donald Trump, who campaigned on protecting gun rights, is in the White House. Because there is no federal registry of gun purchases, background check numbers are often used by media outlets as a way to measure gun sales. And a recent report from the FBI shows an increase in background checks in 2018. So, does that mean gun sales are back up again? The full answer is a bit more complicated. Anyone who buys a gun from a federally licensed firearms dealer (FFL) has to go through a background check. A customer at a gun shop will fill out a Firearms Transaction Record, which includes questions on a person’s criminal background, drug use and citizenship. The gun seller will then contact the National Instant Criminal Background Check System (NICS) to check the information the customer provided. NICS keeps a record of the number of background checks it runs per month nationwide. The Firearm Owners Protection Act of 1986 prevents the federal government or a state from keeping a registry of the guns a person owns. So, outlets including Fortune, Bloomberg and USA Today have used the number of background checks as a proxy for gun purchases in the U.S. So, if there were 892,840 documented background checks done in 1998, then about 892,840 guns were sold in 1998? Gun sales and background checks don’t necessarily go together. According to a 2017 study published in the Annals of Internal Medicine Journal, 22 percent of U.S. gun owners acquired a firearm without a background check. Philip Cook, a professor at the Sanford School of Public Policy at Duke University, studies gun policy and sales. “If I sell my rifle to my neighbor in North Carolina, there’s no such requirement,” Cook said. If we disregard those sales and only look at sales through an FFL, the numbers are still tricky. If you’re in a state like Massachusetts or Hawaii, which require a separate permit every time a handgun or rifle is purchased, you could potentially estimate the number of firearms sold. But in many states, there are several reasons why one background check doesn’t equate to one gun being sold. Some states, such as Iowa or Michigan, require a person to have a permit before they can buy a firearm, but once they have that permit, they can buy as many guns as they want, as long as the permit is valid. So, if you live in Iowa, you can get a permit which will remain valid for 5 years, and you can buy all the guns you’d like in that time. NICS runs background checks for other kinds of permits that don’t necessarily involve a gun sale, like if someone applies for a concealed carry weapons license or permit. In a state like North Carolina, a person could purchase multiple guns within the same transaction, which would have only involved one background check. Back To The ‘Trump Slump’: What Do The 2018 Numbers Tell Us? Gun sales usually go up during election years. 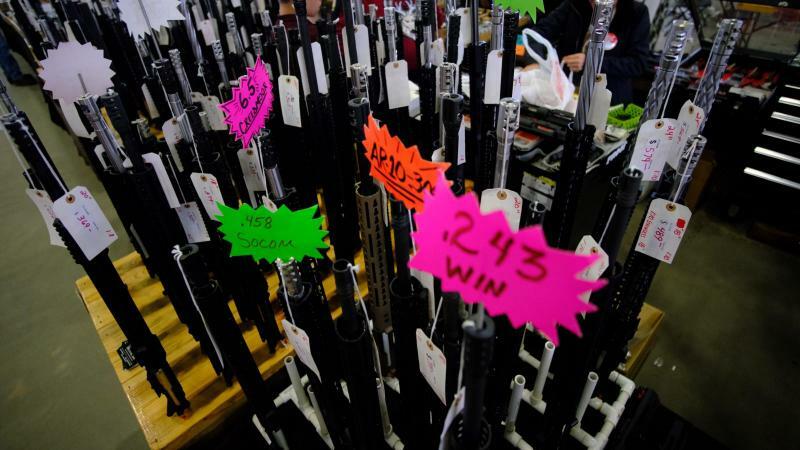 In 2012, after President Barack Obama was re-elected, gun sales went up. Gun sales also went up in 2008, after the election between Barack Obama and John McCain. After the shooting in Parkland, Florida in February 2018, at least five states, including New Jersey and Vermont, passed legislation to expand background checks. Part of the recent increase in background checks in 2018 could be attributed to new legislation. So, What Does This All Mean For The ‘Trump Slump’ With Gun Sales? Small Arms Analytics & Forecasting (SAAF), a research consultancy focused on small arms and ammunition markets, analyzed the recently released background check data and adjusted for checks “likely to be unrelated to end-user firearms sales.” It found a decline in gun sales in 2018, compared to years before. SAAF Chief Economist Jurgen Brauer says the “Trump slump” is real. Last year, Remington Outdoor Company filed for bankruptcy, partly due to low sales. The weapons manufacturer exited bankruptcy two months later, with a financial plan to ride through decline. Declining sales may not last much longer, though. Many Democrats who won seats in the 2018 midterm elections ran on passing strict gun control measures. 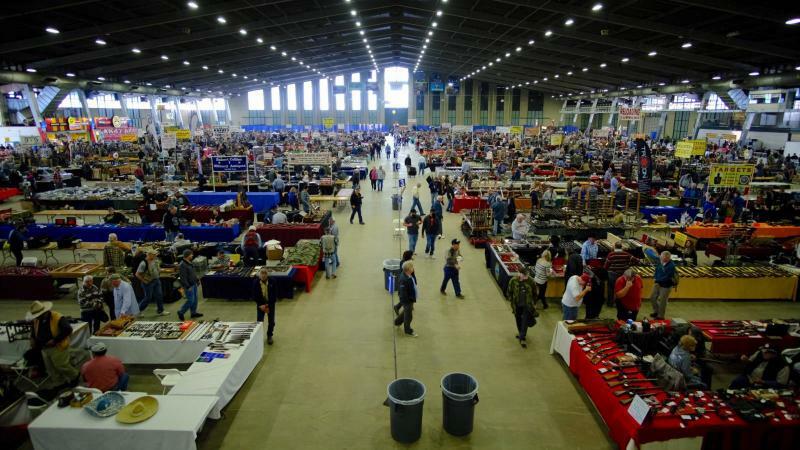 And on January 8, Rep. Mike Thompson, D-Calif. introduced the Bipartisan Background Checks Act of 2019, which would require all gun sellers, including private vendors, to run background checks on customers. So, Is The ‘Trump Slump’ Real? Yes, the “Trump slump” is indeed a thing, but if Democrats pass gun control legislation, that slump may not be there anymore, because people will buy more guns before control measures are in place. And finally, it can be misleading to use background checks as a proxy for gun purchases, because background checks and gun sales don’t necessarily go together as cleanly as commonly thought. Lawmakers this week are reintroducing federal legislation that would require background checks on nearly all gun purchases — what they call “universal background checks.” But what are universal background checks? Let’s take a look at what they would — and would not — entail.